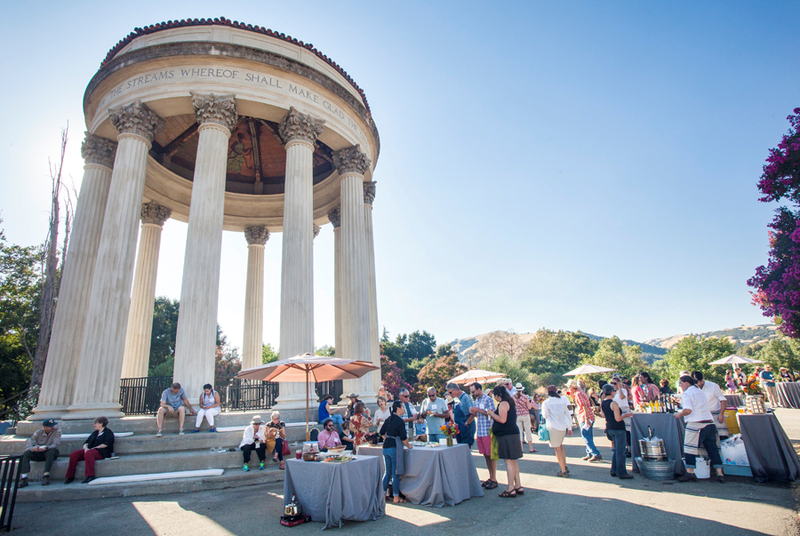 Sunol, CA – On the evening of August 13, 2016, leaders from the Bay Area food and farming community joined representatives of the San Francisco Public Utilities Commission (SFPUC) to celebrate the 10th anniversary of the Sunol AgPark. The Independent covered the story. 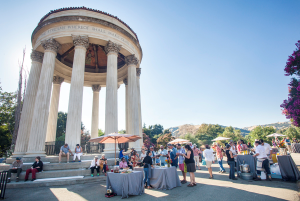 Guests toured the AgPark and then enjoyed delicious food prepared by Bay Area chefs using produce from AgPark farmers and other local products, and accompanied by superb Wente Family Estates wine. During the brief program, remarks were offered by Steve Ritchie SFPUC Assistant General Manager of the Water Enterprise, farmer Kristyn Leach, Sunol Community Advisory Council member Rosemary Chang, SAGE board chair Mary Selkirk, and SAGE President Sibella Kraus. A highlight was the unveiling of the model for a plaque commemorating the AgPark which will be installed at the AgPark. SAGE has managed the Sunol AgPark since its inception ten years ago. Beginning in 2017, management will be taken over by the Alameda County Resource Conservation District. SAGE will focus on its other innovative public-private projects, including developing new AgParks to advance sustainable agriculture and food systems in the Bay Area. The farm will continue as it has – providing land for sustainable farming and for education.